If you would like your own FREE blog review link up at Bloggers Helping Bloggers - beginning every Tuesday at 7:30 am EST and running until Sunday evening. 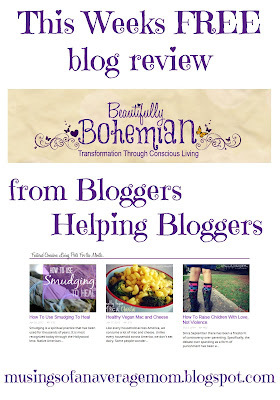 This week's review was Randi for Beautifully Bohemian. LOVE the header! The font and design are so pretty and it's laid out nicely. Love the header! Original. Easy to read. 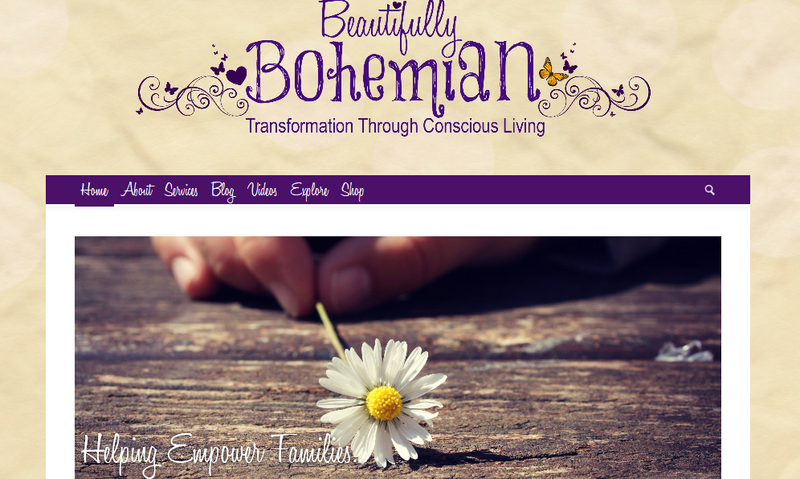 I like the header it's original, beautiful and conveys the theme of your blog. I might crop it slightly so I can see your popular posts at the same time but, I have a small screen. Randi maintains a simple sidebar. Most of her relevant information can instead be found in the header bar, which includes tabs called home, about, blog, videos, explore and shop. There is also a nice, easy-to-use search bar in this area. The sidebar itself is used primarily for ad display. The square photo is jarring. Could it be a circle or an oval? It was really hard to find your SM and I had to scroll all the way to the bottom. The icons themselves are cute and they stand out but I would put them closer to the top of the page. Randi offers three options for following on social media. These buttons are located at the bottom and require a bit of scrolling, but are otherwise easy to use. I prefer social media links to be higher on the page. They should be really easy to find. Maybe make them part of the static nav bar or add them to the sidebar. Would probably prefer to find your social media icons under the about me, but I think your icons are adorable! I am not very "bohemian" so the content wasn't personally relevant to me. However, I do think your posts are well written and would be enjoyed by others that live that same lifestyle. Randi is a clear writer and chooses nice, crisp images for her blog. While I do not endorse all her views, she is a cohesive communicator, striving to add value to discussion on a variety of topics, which she covers in depth. I'm not vegan, but I am interested in home births, doulas, midwives, birthing centers, basically all birth stuff outside of a traditional hospital. So from the most recent posts, I decided to read the one on home births. The post is thorough, interesting, and informative. I did notice at least one typo, a missed word. I liked your fonts and found them easy to read. It might look good if you changed the category colors at the very top to the same one you have in the main header. I didn't like the black & white quite as much, but that could just be my own personal preference. Some people might have trouble with the curly fonts, but the main text is fine. She uses a consistent font throughout. 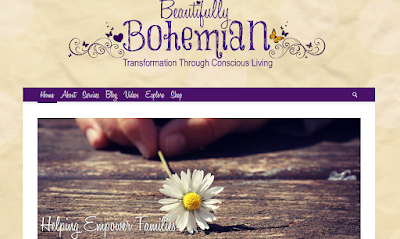 Headers and creative use of bold text make the blog simple to read and further enhance its overall lovely appearance. I felt like your blog was well laid out and easy to navigate. Easy, but I would add drop-down boxes from the stickied nav bar. I felt like overall, you have a really good blog. I liked your fonts, the layout, and the assortment of different things thrown in the mix (a few ads, recent posts and recipes on the sidebar) and I felt that your posts were well written. 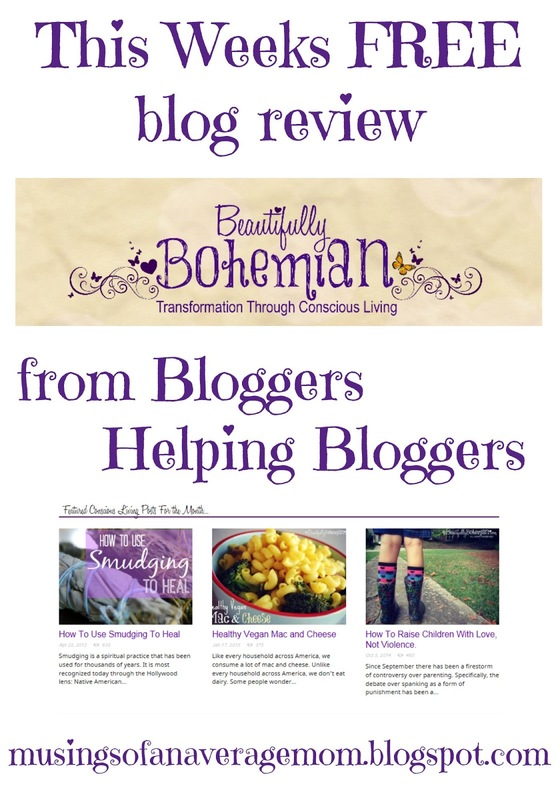 Randi's blog, Beautifully Bohemian is a visual treat. From her delightfully simple header featuring beautiful fonts to the changing, high-quality images just below, her blog commands the reader's attention. And don't forget to link up at Bloggers helping Bloggers for the chance to get your own blog review! I love this idea. And you are a great reviewer, to the point, kind and helpful. I really enjoyed this. Coming over to check you out!